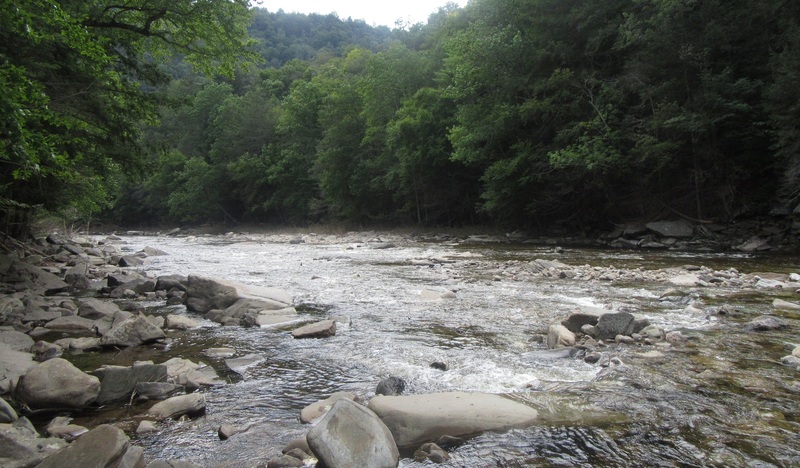 The Loyalsock Creek (top), one of two waterways to be celebrated by the EMHR in a speakers series this spring, at Worlds End State Park in 2018. 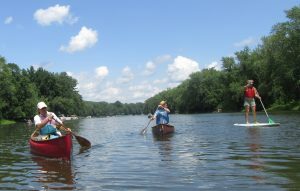 Paddlers on a sojourn take in the Great Bend area of the Susquehanna River (above) in 2018. The Endless Mountains Heritage Region (EMHR) invites the public to attend one or more free-to-the-public presentations this spring that are focused on the North Branch Susquehanna River and the Loyalsock Creek, two of the premier recreational waterways coursing through the region. The Susquehanna River will be celebrated in Montrose and Tunkhannock on Saturdays, April 13 and 20 respectively. The Loyalsock will be the topic of a presentation on Friday, May 17. Both waterways share the distinction of having been named River of the Year by the Pennsylvania Organization of Watersheds and Rivers (POWR), the North Branch in 2016 and the Loyalsock just last year. In each case, special events were held in the water and along the shores to bring people back to nature and remind them of the aesthetic, recreational and economic value of sustaining healthy waterways. 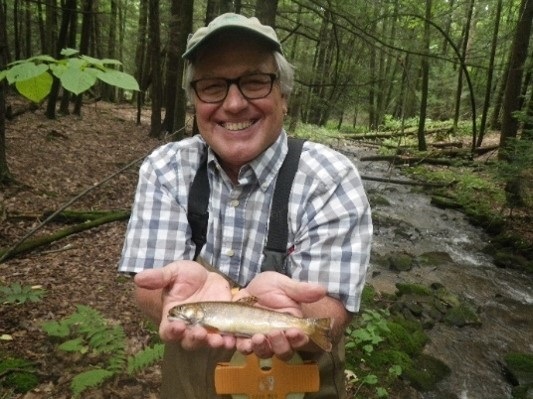 Parenzan spearheaded last year’s River of the Year events along the Loyalsock and will share those experiences with audience members at the May 17 event, which will be held at the DCNR Loyalsock District Office in Dushore at 10 am. The Susquehanna River first enters Pennsylvania in Susquehanna County, meandering past the communities of Lanesboro, Susquehanna Depot, Great Bend and Hallstead before turning back north into New York state. Though the 15-mile stretch seems short in comparison to its longer runs through Bradford and Wyoming counties, its significance to Native Americans and development by European settlers rivals that of any other county. 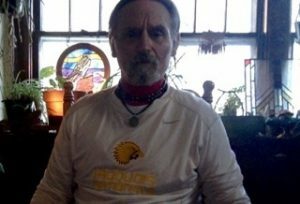 Gere Reisinger is not only an expert on the Native American history as the chairman of the Sacred Sites Committee for the Seneca Nation, his grandmother grew medicinal herbs in the rich soils of the Susquehanna’s flood plains, maintaining a centuries-old tradition. Reisinger (above) grew up in Kingston, which he cites as the birthplace of matriarchal democracy for the Houdenosaunee, the famous Iroquois Confederacy. 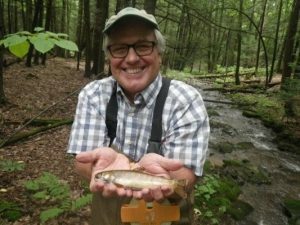 The presentation focused on the Susquehanna River will be held at the Montrose Theater at 10 am on April 13 and at the Dietrich Theater in Tunkhannock at 10 am on April 20. The key components that EMHR executive director Cain Chamberlin wants each presentation to extol and expound upon is history, environmental stewardship and recreation. “Each of the panelists really brings with them a wealth of knowledge about one if not all three of these elements,” Chamberlin stated. 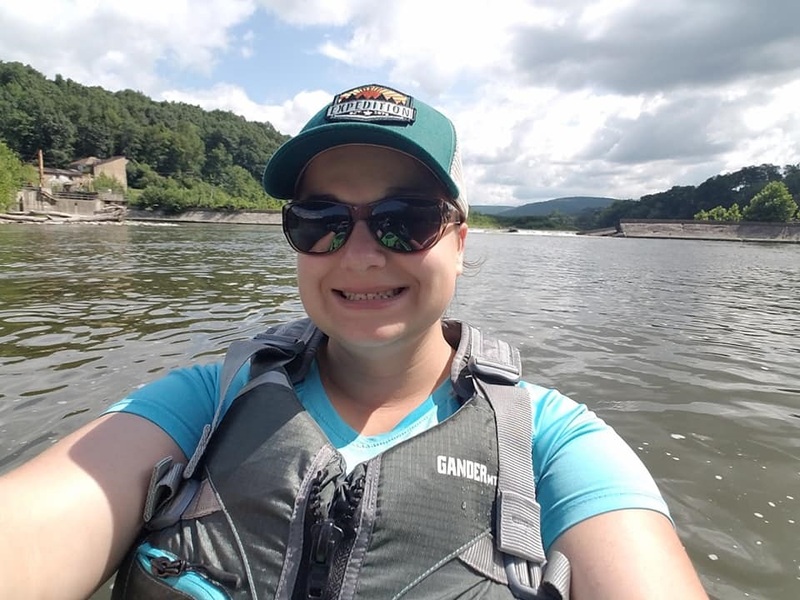 Additional speakers on the Susquehanna River will include Susquehanna Greenway Partnership founding board member Richard Fitzsimmons and Emily Rinaldi (above), EMHR’s water trail coordinator. The Loyalsock panel will be rounded out by Sullivan County Conservation District watershed specialist Corey Richmond and Lisa Mazzarella from WVIA Media. Prior to the Susquehanna River panel discussions, audiences will enjoy a screening of WVIA’s 2005 production, Looking to the River.” During the May 17 presentation, there will be a showing of WVIA’s “Our Town: Sullivan County,” which features an informative segment and wonderfully captured footage of the Loyalsock Creek. 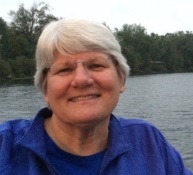 “These should be really nice presentations for the community just before the summer tourist season brings people to these bodies of water,” said Chamberlin. 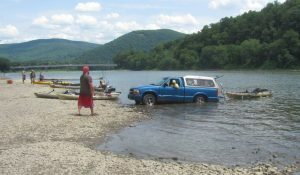 All three events were funded in part by the Endless Mountains Visitors Bureau and the Room Tax Funds of Sullivan, Susquehanna and Wyoming Counties. From June through August, the EMHR will host public events in Bradford County to celebrate its county parks.